Just noticed all 3 variants of 16inch Mk.I Triple Gun Mount gave Kongou class extra stat bonuses and penalty (+1 FP/armour -3 Evasion). Why is this a thing when only the camo kai of the 35.6cm series give extra stats. Is this a joke that the British 16inch have better compatibility on the British built Kongou class than the Japanese 35.6cm guns until the 35.6cm camo kai. 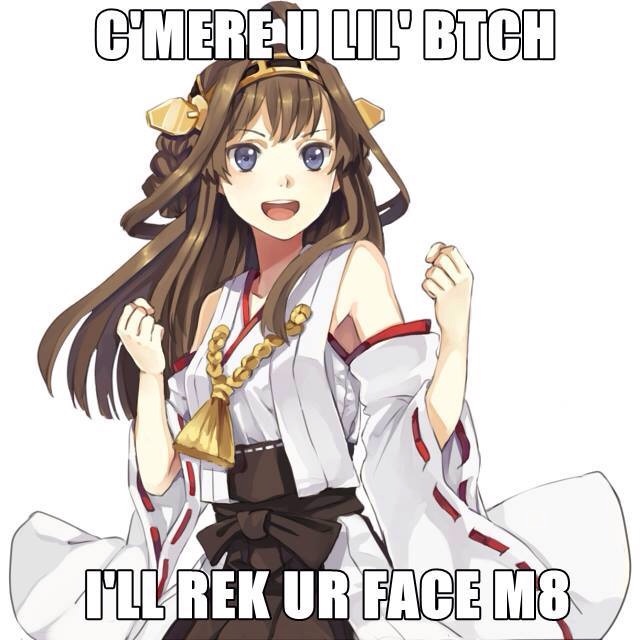 @ofi123 It's just a joke about Kongou's British origins. Just like how the Kongou-class can perform the FCR+Pompom AACI. Wait, so it's really a joke? If so, I'm disappointed the 38.1 series got left out.